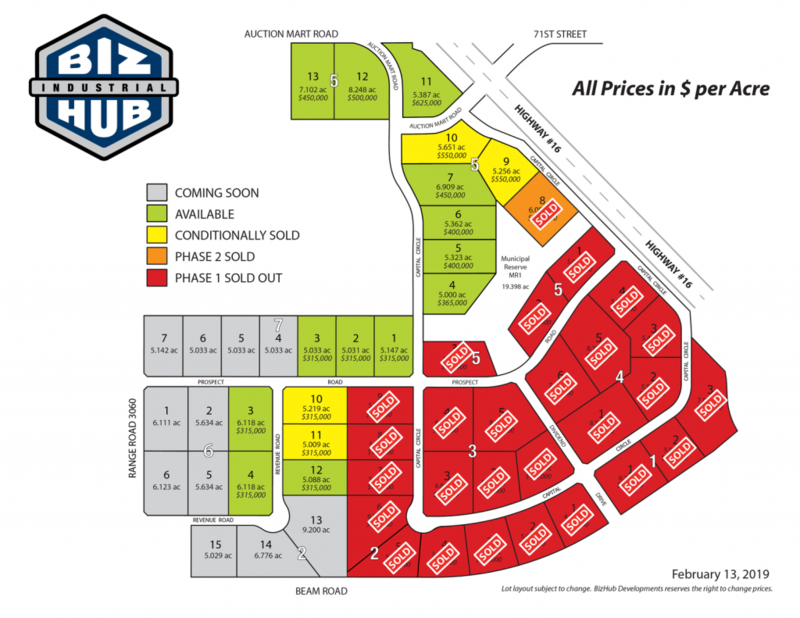 Phase One of BizHub Industrial Park, with a total of 26 lots, is completely sold out and the next phase of light industrial lots is now for sale. Lots are a minimum of five acres and with the ability to package lots together, the possibilities are endless. Lots start at $315,000 per acre.